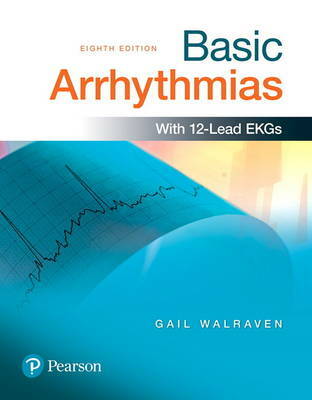 Basic Arrhythmias, 8th Edition, gives beginning students a strong basic understanding of the common, uncomplicated rhythms that are a foundation for further learning and success in electrocardiography. Concepts are presented in a flexible, progressive approach to allow for self-paced or classroom learning. Chapters cover basic electrophysiology, waves and measurements, rhythm analysis, and the five major groups of arrhythmias. Basic Arrhythmias includes appendices on Clinical Implications, Cardiac Anatomy and Physiology, 12-Lead Electrocardiography, Basic 12-Lead Interpretation, and Pathophysiology of Arrhythmias. Practice with over 680 EKG rhythm strips that are included in most chapters to give students extensive, realistic hands-on practice–the single most important element in developing arrhythmia interpretation skills.